Turkey & Cheese Tortilla Rollup - Who Needs A Cape? Do your kids walk in the door after school famished? 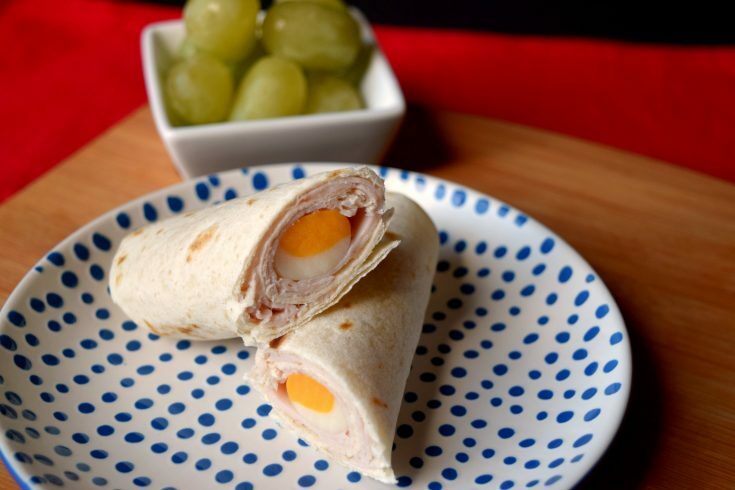 Make a quick and easy Turkey & Cheese Tortilla Rollup to keep them going until dinner! If you have kids you’ve undoubtedly experienced this scenario. The kids roll in from a long day at school, dinner time is a good 2-2.5 hours away still and they are “hungry”. Along with the proclamation of hunger there’s almost always a whining that does not stop until you’ve provided them with nearly an entire pre-dinner meal. Now I’m not saying my kids don’t earn that hunger, they really do. Their little brains work so hard at school and their little bodies play even harder on the playground plus they are constantly growing, all of that combined leads to a giant case of the mid-afternoon hungries. This is when its best to have a well-stocked fridge and pantry so you can quickly gather items together and get those hungry kids fed. Of course you can serve them some cut fruit or a banana, even baby carrots and ranch for dipping. I prefer to give them something with protein which will truly tide them over until dinner is served. 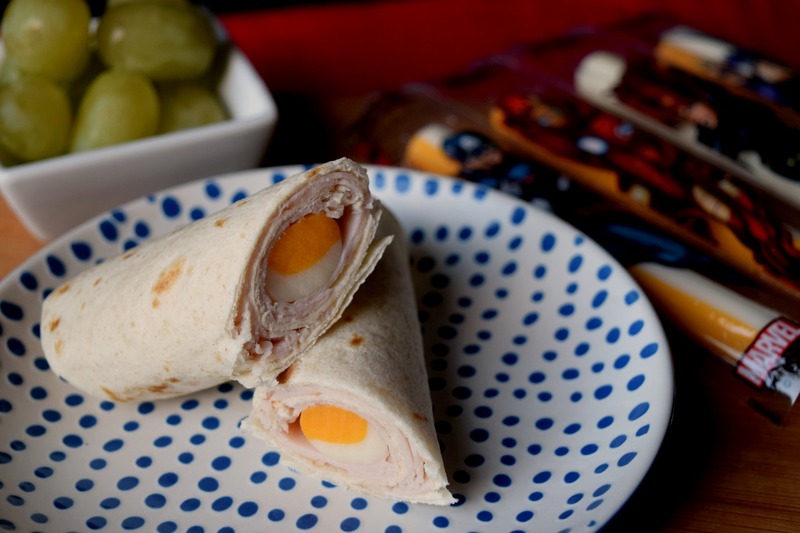 One snack in particular that is always a hit with my kids is Turkey & Cheese Tortilla Rollups. Not only do I serve them as an after school snack from time to time, I also pack them into their lunches. 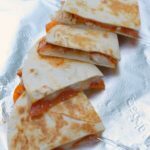 Turkey & Cheese Tortilla Rollups are also a fun snack that the kids can help make or better yet, make themselves if they are old enough. They start with a small fajita size tortilla, onto that place a slice of deli turkey and string cheese. Simply rolled together and you are done! Easy, right? Serve with a dipping sauce if desired, my kids like them just the way they are and pass on sauces. The last time I prepared these I had a fun addition, which the kids thought was super cool. While shopping at Walmart I picked up some Marvel® Avengers String Cheese. Who doesn’t love a superhero? Let alone on your cheese? 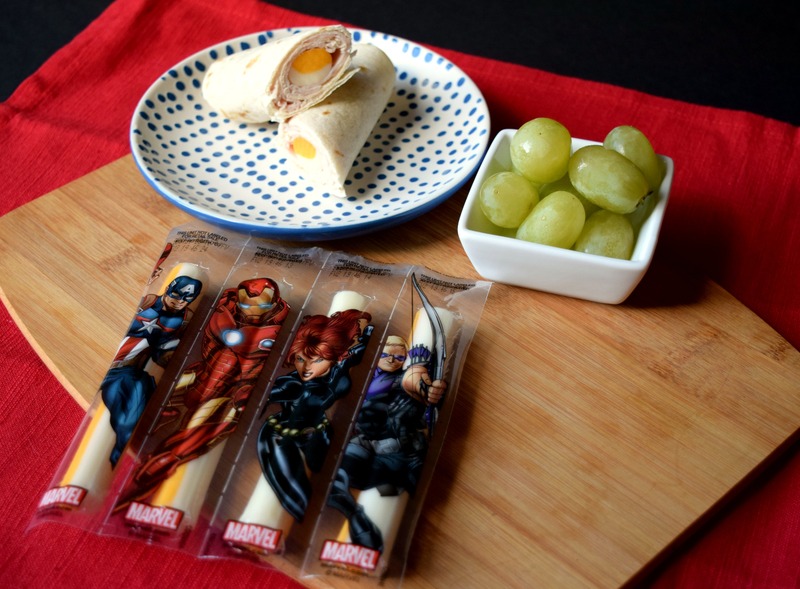 Marvel® Avengers String Cheese was the perfect choice to liven up our rollups. Anytime you can get your kids excited about a wholesome, healthy snack that’s a true mom win! Marvel® Avengers String Cheese is made with milk, which means there’s additional calcium going into their little bodies. 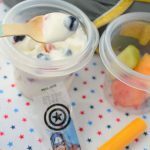 Whether we’re at home or on the go I can quickly give my kids a snack I can feel good about. 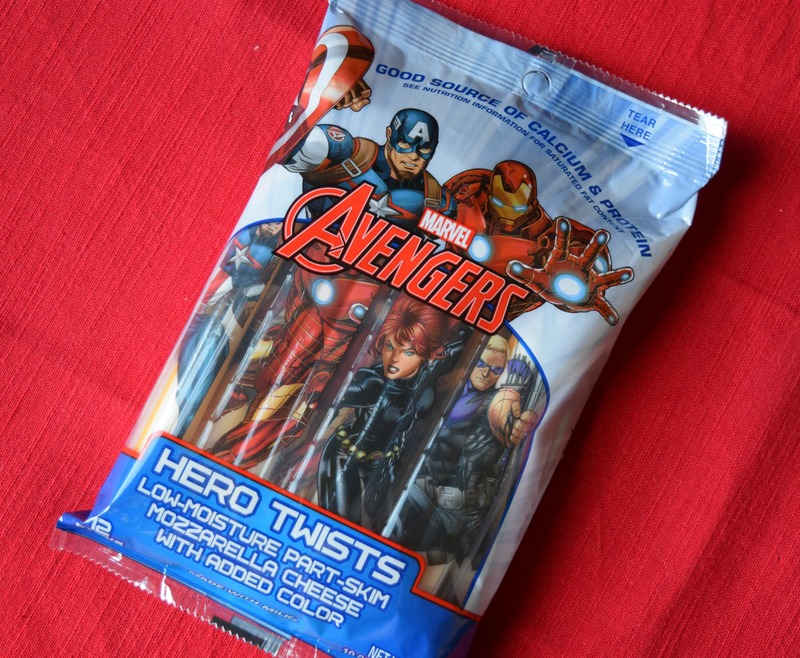 Marvel® Avengers String Cheese comes in Hero Twists, with recognizable Avengers on the packaging. Can’t wait to pop these into the lunchbox for some extra protein. If you are looking for tips for busy moms and kids activities be sure to check click HERE. You’ll also be able to print out a coupon for $1 off a Marvel® Avengers String Cheese products too (expires 1/15/17). Don’t you love a good bargain on something your family will enjoy? 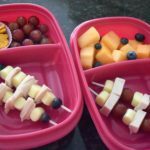 Two things that seem to go hand in hand are kids and food, why not make after school snack time delicious while getting important calcium and protein into their growing bodies. It may not help with the arguing that will surely come when it is time to tackle homework, but it will more than likely help give you some sanity until dinner is on the table. 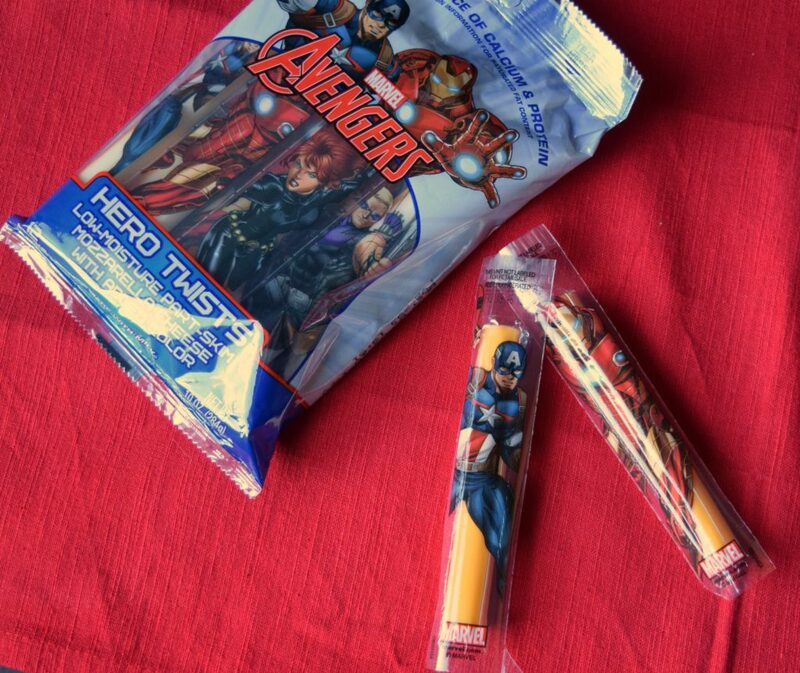 This might sound cheesy to say, but mom is enjoying the Marvel® Avengers String Cheese too! Perfect midday snack for moms! So tell you, what delicious after school snack ideas do you have? 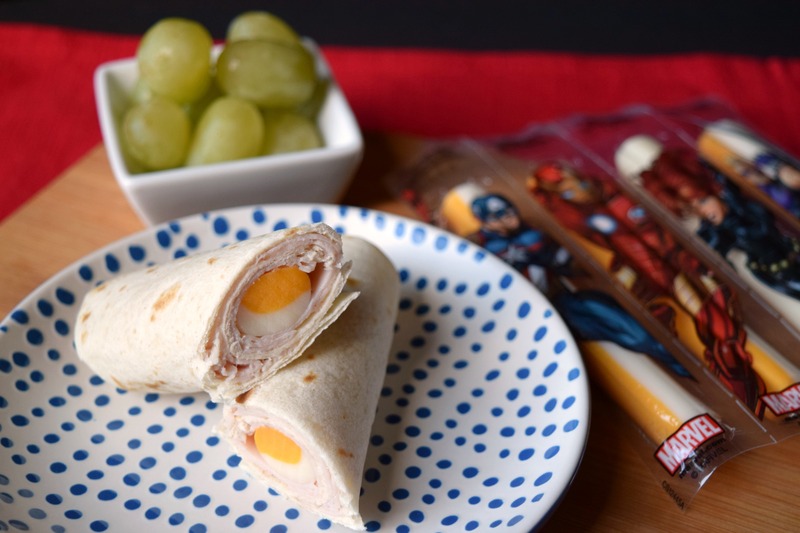 Lay tortilla flat, top with deli turkey and Marvel® Avengers String Cheese. Roll together, cut if desired. These are so fun and easy to make. Perfect for little hands to help. I haven’t seen those cheese sticks before- my boys would LOVE them! I like the idea of turning a snack into more of a meal. 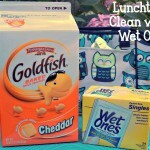 I will have to try these for my kids lunches. My picky kid actually started eating these cheese sticks because I bought these ones w/ the Marvel heroes on them. 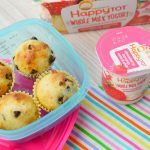 Great quickie lunch or snack! This is a mainstay in our home for lunches! 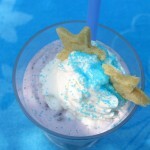 My kids always eat these and they are so simple to make! Oh I know that scenario well. Walking in the door being famished with dinner not in sight! This snack is perfect. Such a fun and easy snack! These would great warm too! This looks absolutely amazing! I love a good rollup and have never thought to do one like this. How easy and fun are these! Love it!!!!! Looks like a great snack! I bet if you popped it in the microwave to melt the cheese it would be even better!